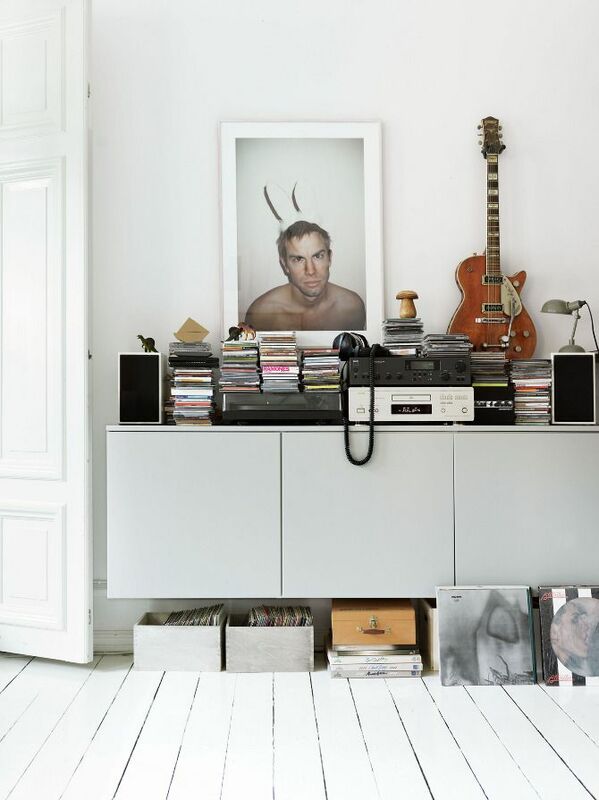 You immediately understand that you entered a space of a creative person who has an artistic soul. 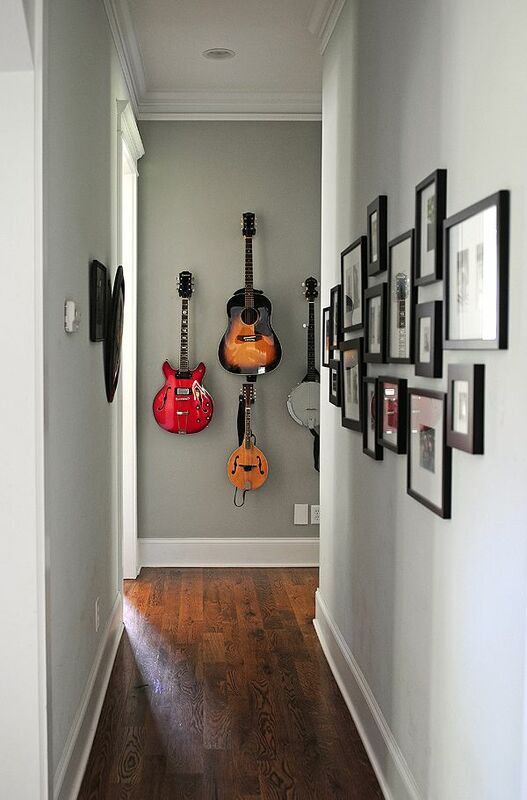 A guitar as an interior detail is charming because it gives musicianship and flight for a space – you immediately understand that you entered a space of a creative person who has an artistic soul. 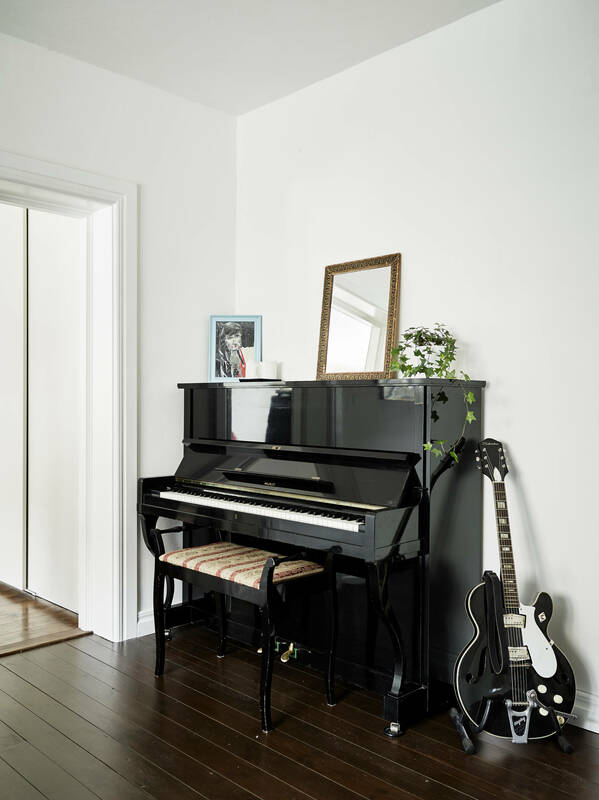 I would never recommend to hide instruments (of course, one cannot hide a piano) because my especially mentioned instrument is of feminine forms and of a subtle color. 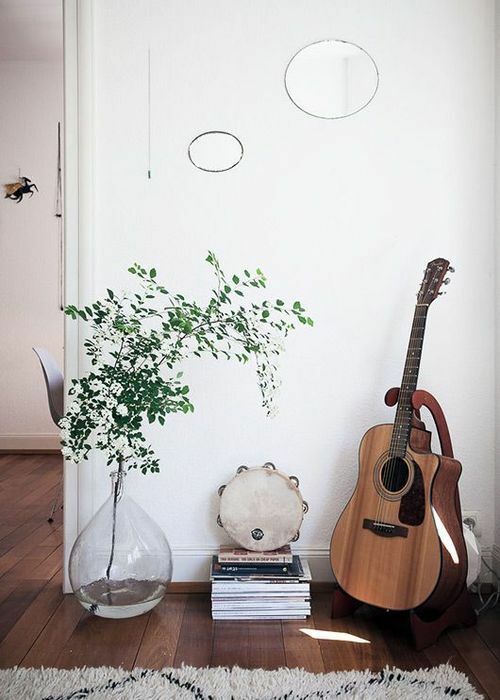 There are also such homes where several music instruments are combined, nobody should overdo then and not to overload a space with other things. 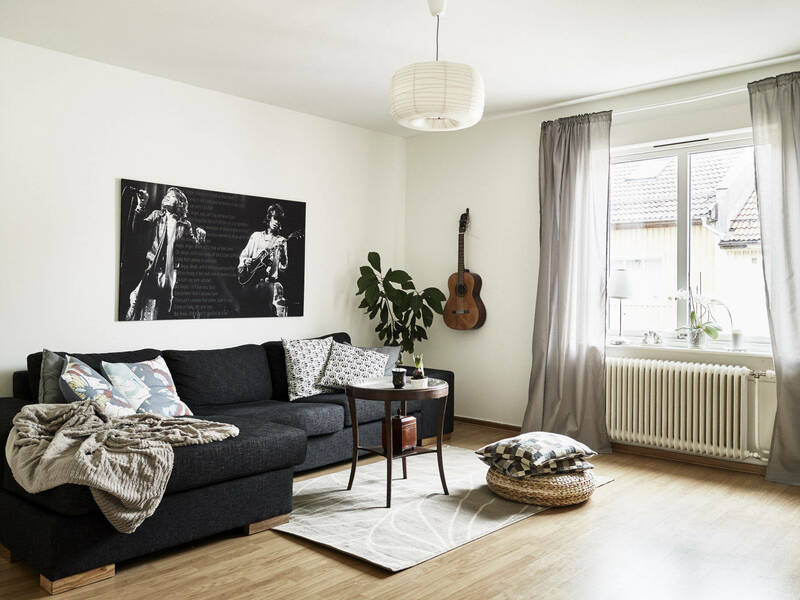 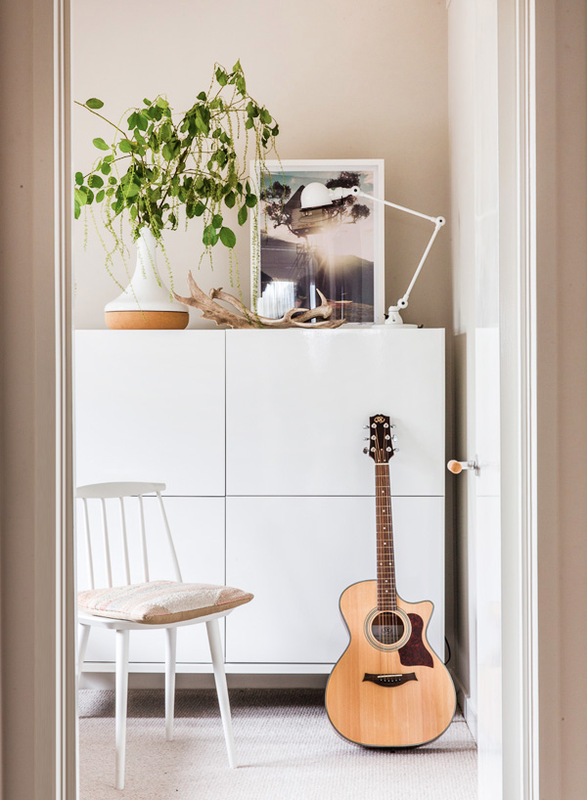 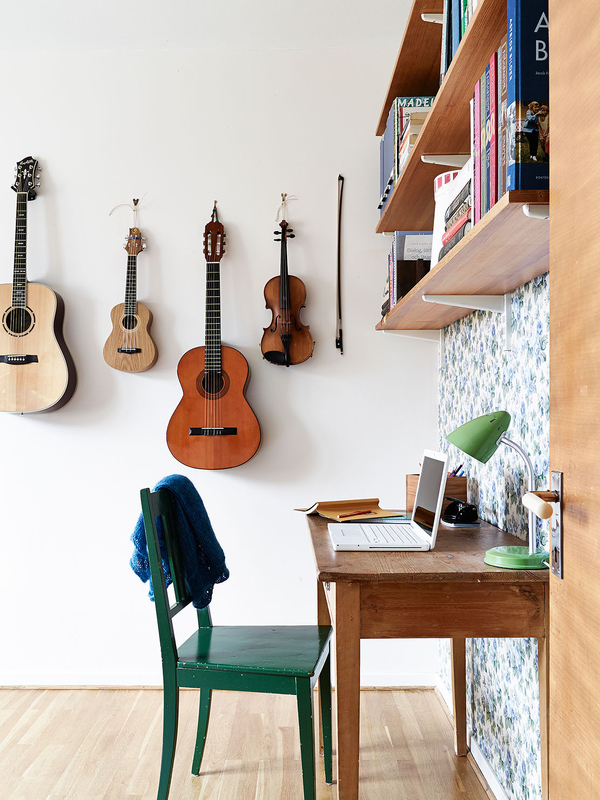 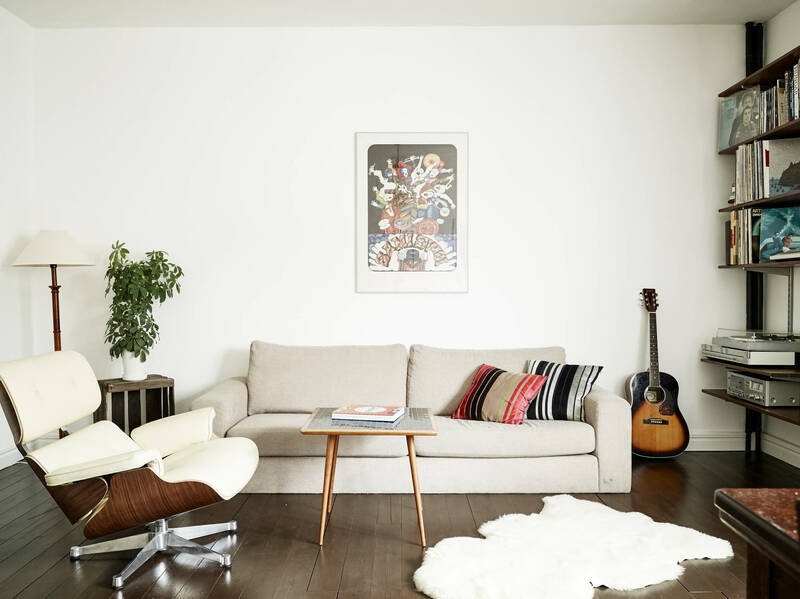 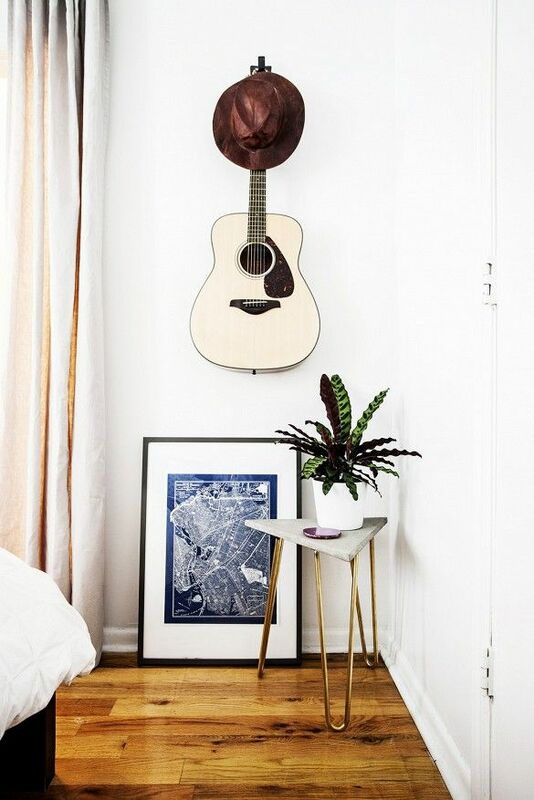 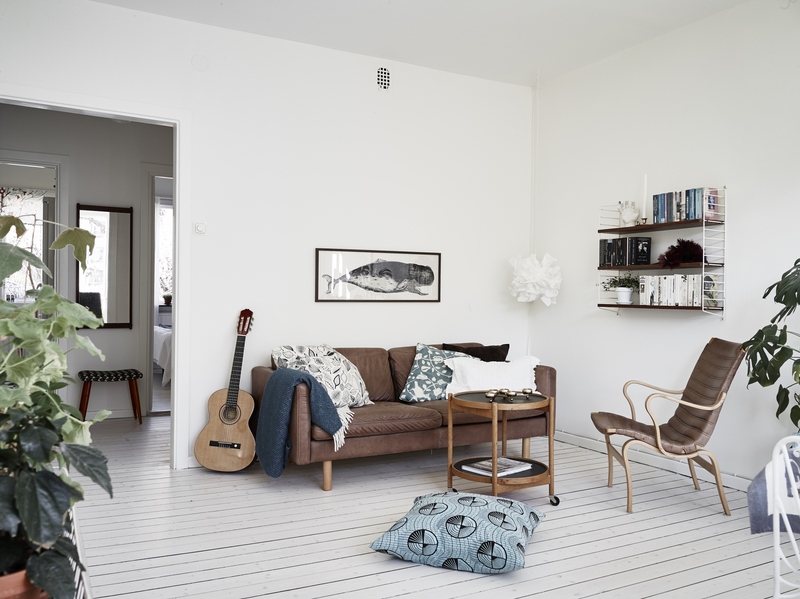 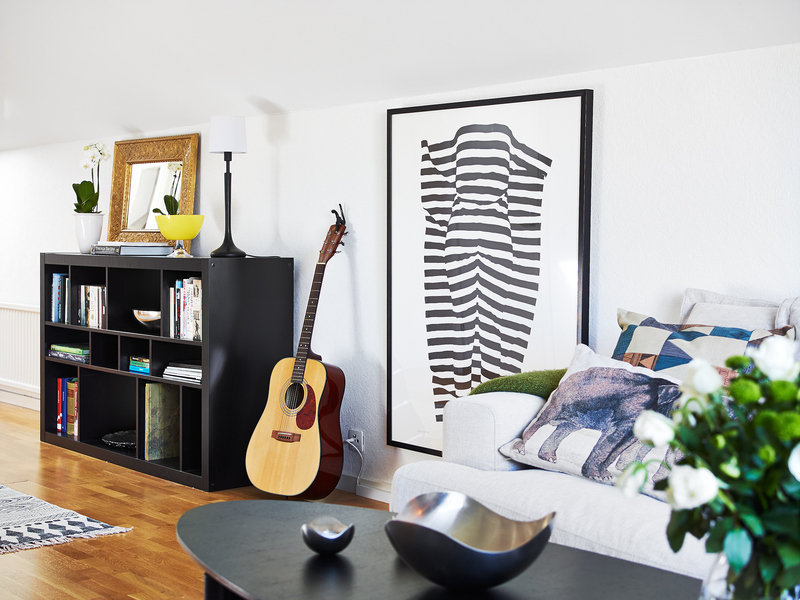 A guitar placed in a corner, next to a sofa, wardrobe or any other place as if randomly will remind about yourself and maybe force you to use it more usually than when it is in a special holster. 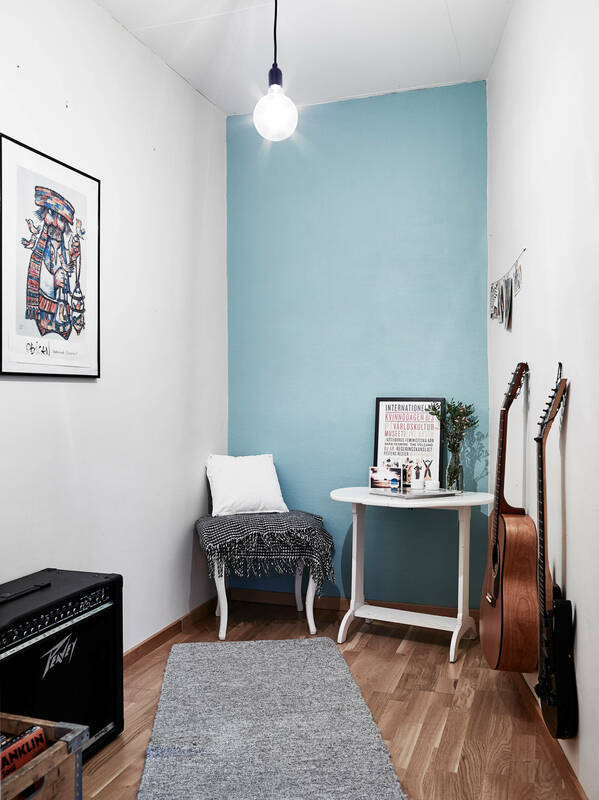 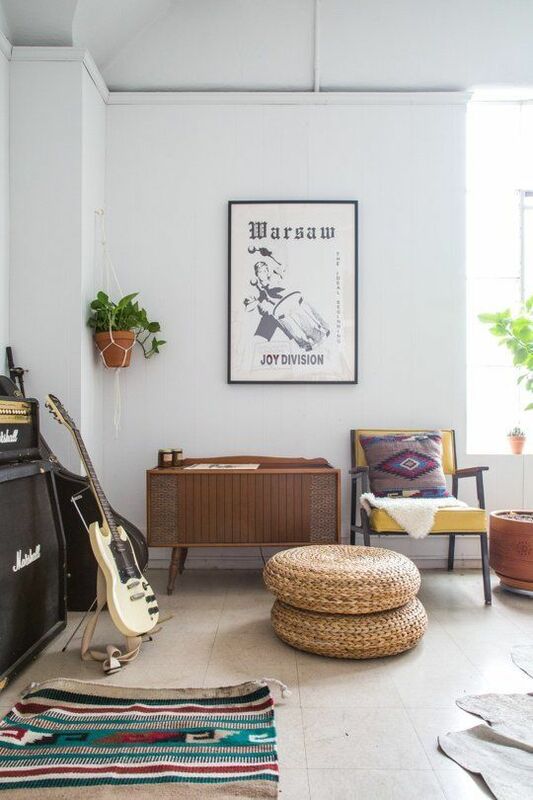 Well, this light blue wall and the combination of the colors brown and white is SOMETHING WOW for me! 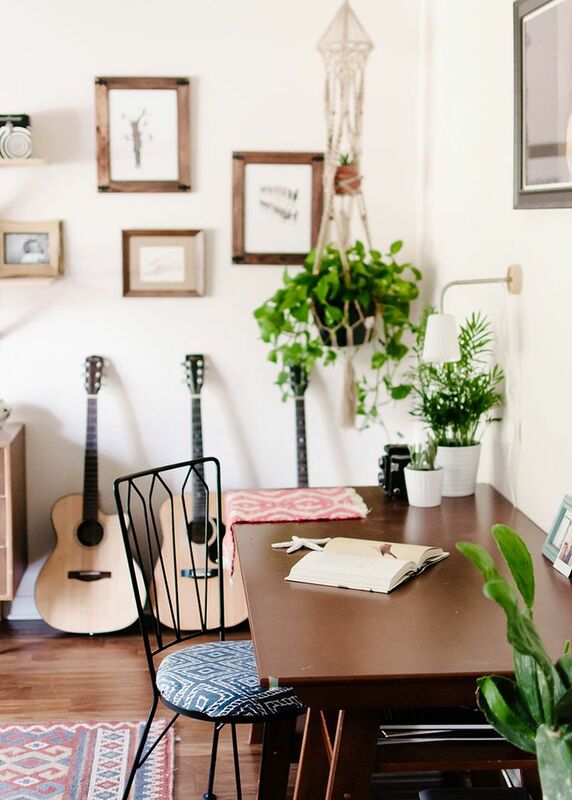 Idyllic place for work and rest at the same time – a wonderful work place. 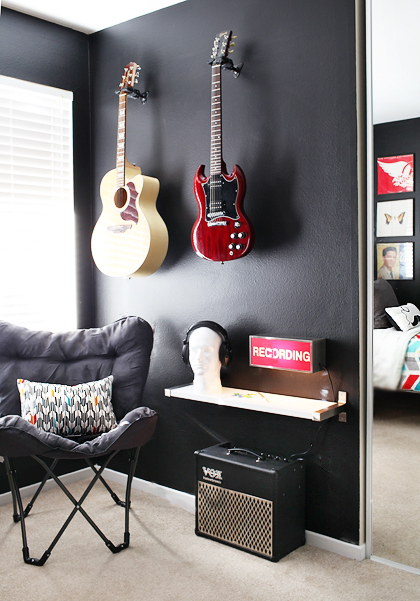 Here is the alternative rack of various accessories.